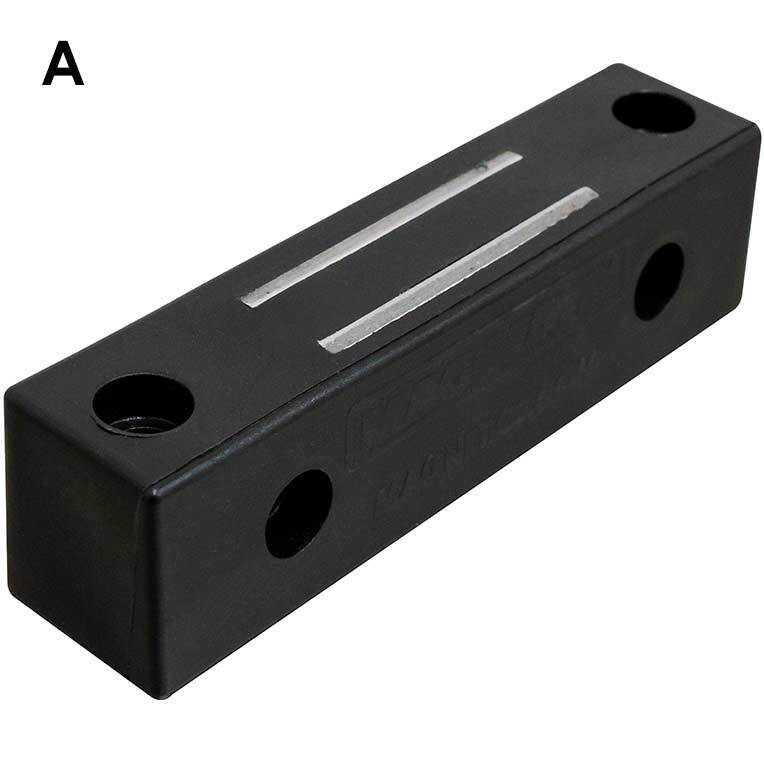 A: Ceramic magnet, 2,3 or 4-Pole assembly potted in an aluminum housing. Effective for holding heavy parts & holding against shear forces. Supplied without mounting holes, they can be drilled, tapped, milled, etc. on either end of the magnet. Maximum temperature 300°F (148°C). 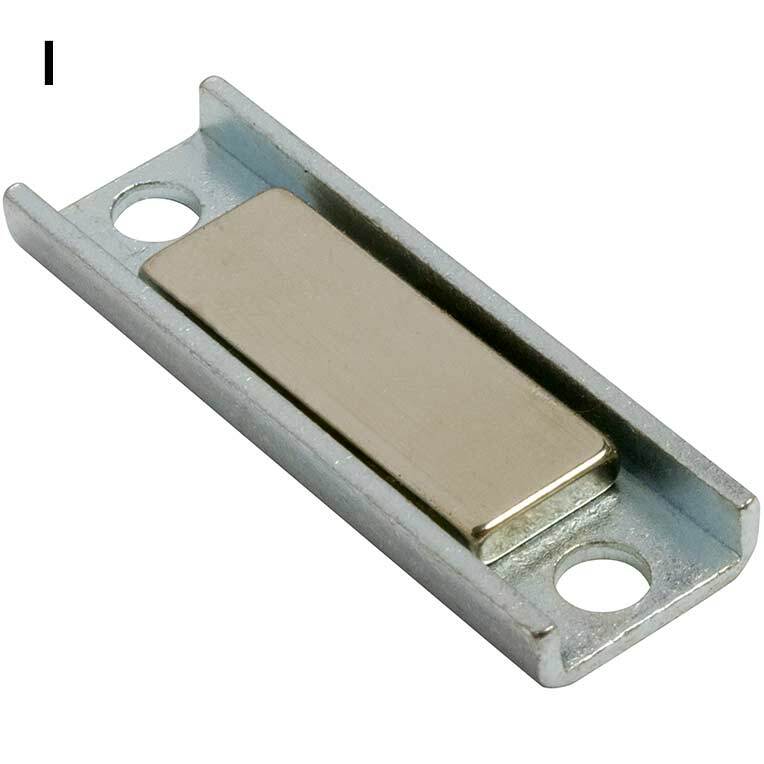 B: Rare Earth magnet material, 2 or 3-Pole assembly potted in an aluminum housing. Effective for holding heavy parts & holding against shear forces. Supplied without mounting holes, they can be drilled, tapped, milled, etc. on either end of the magnet. Maximum temperature is 180°F (82°C). 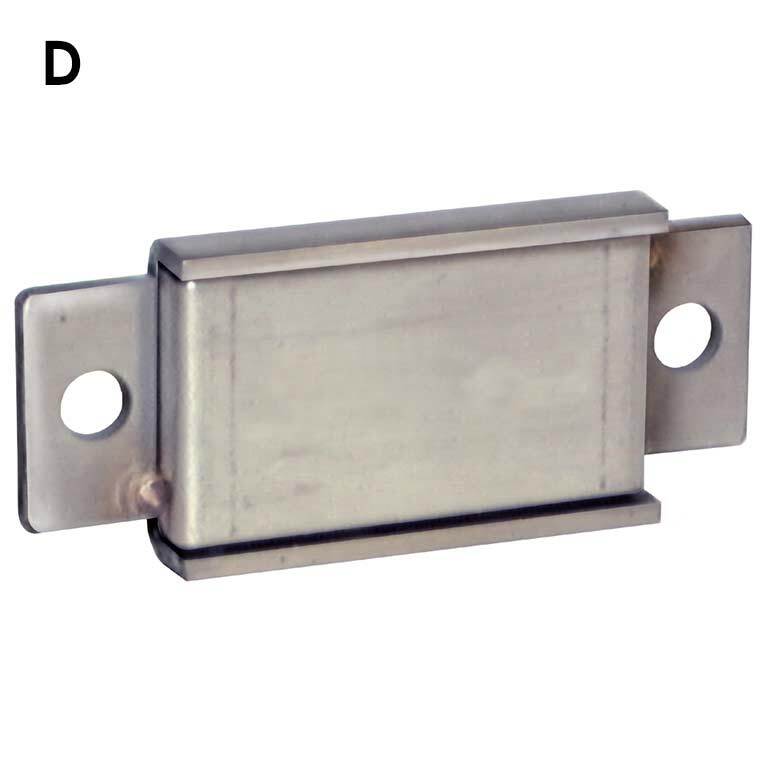 C: Ceramic magnet (except LP2100R is Rare Earth) placed in a 400 Stainless Steel channel covered with 300 stainless steel. Use 1/4”-20 (m6) bolt or screws for mounting this non-corrosive 2-pole assembly. Maximum temperature 300°F (148°C). Rare Earth maximum temperature is 180°F (82°C). D: Ceramic magnet sandwiched between steel pole pieces. 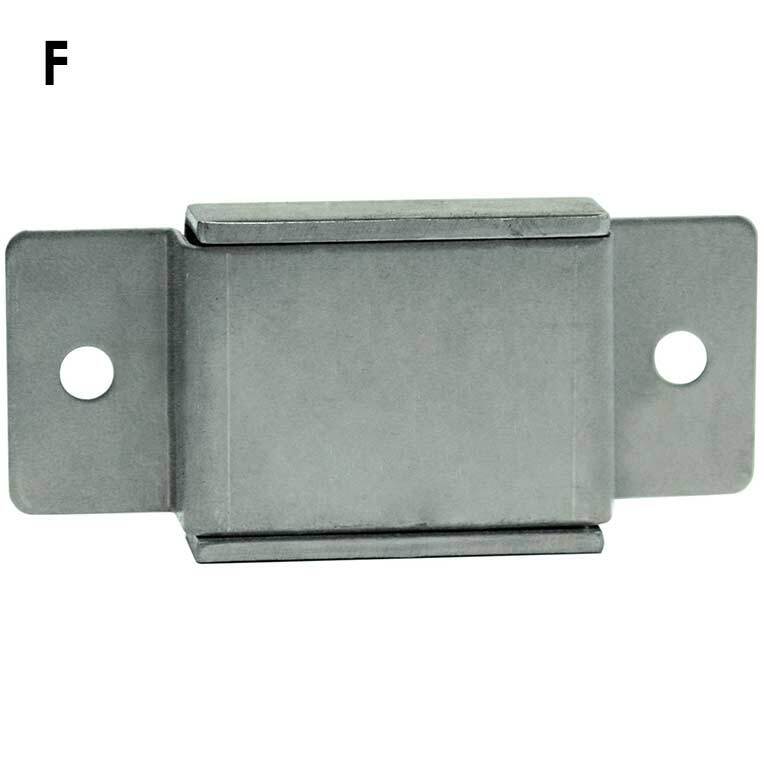 Use 10-24 (m5) bolt or screws for mounting this non-corrosive 2-Pole assembly. Maximum temperature 300°F (148°C). 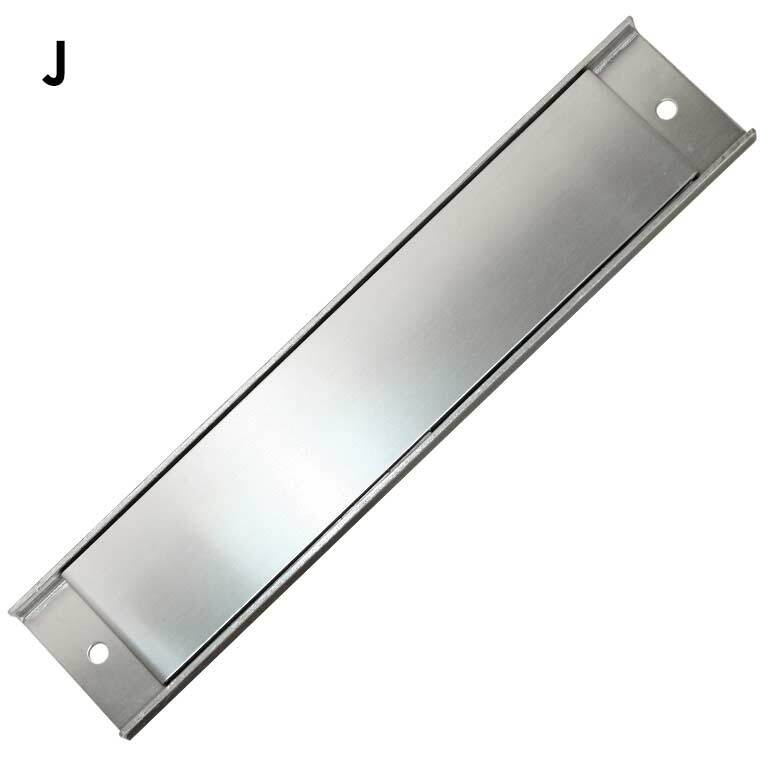 E: Paint rack magnet uses a 400 Stainless Steel channel covered with 300 stainless steel. Use 1/4”-20 (m6) bolt or screws for mounting this non-corrosive 2-Pole assembly. Maximum temperature 350°F (177°C). F: Alnico Paint rack and indicator base magnet use two piece of Alnico 8 magnet material riveted between bright zinc plated 11 gauge steel pole pieces. Magnet has a 1/4”-20 tapped hole for mounting. Maximum temperature 800°F (427°C). 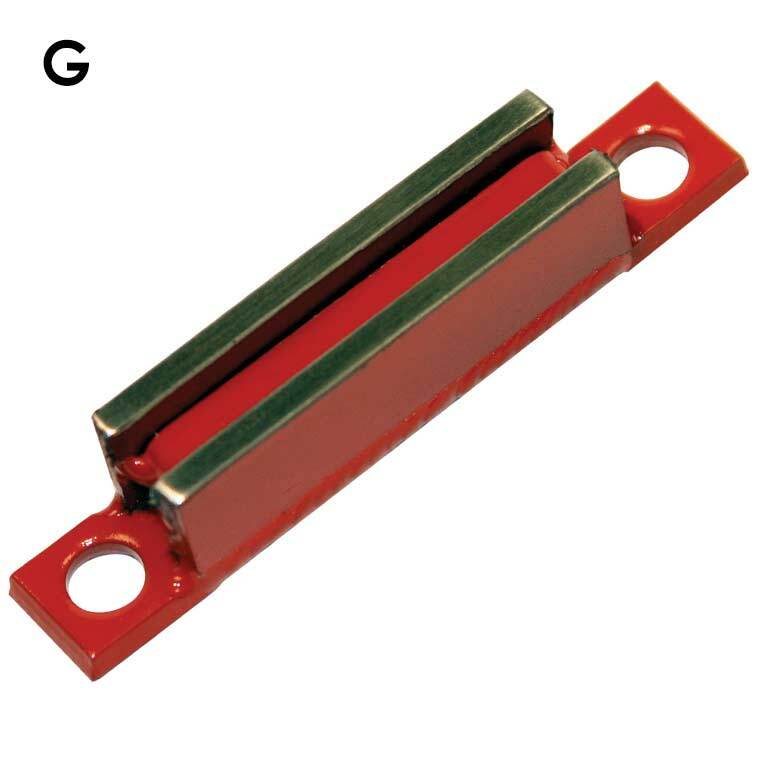 G: Rare Earth magnet material is sandwiched between steel pole pieces and welded to a stainless steel back plate. 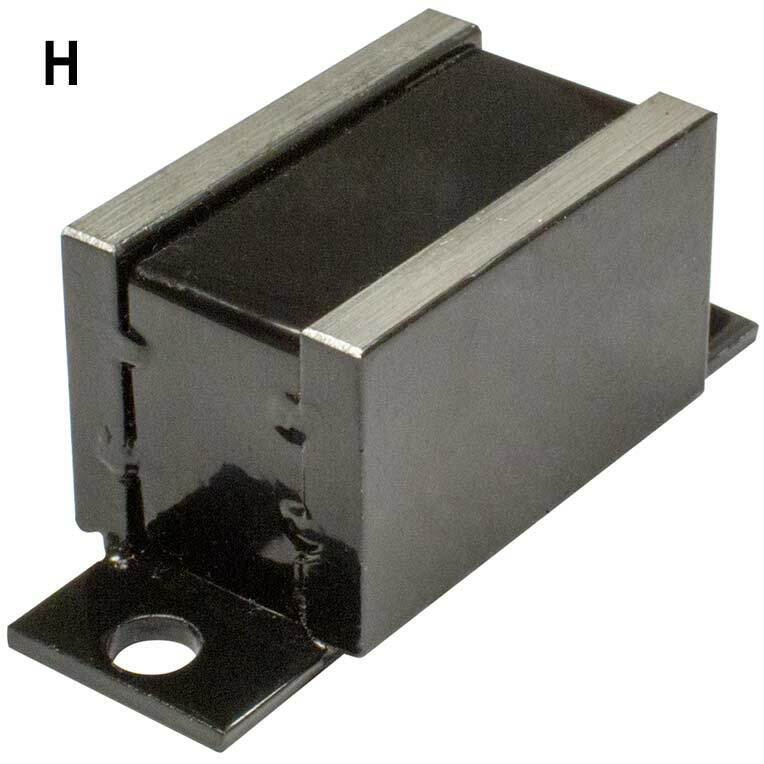 This extremely powerful assembly is painted black and fits narrow openings. Use 1/4”-20 (m6) bolt or screws for mounting this 2-Pole assembly. Maximum temperature is 180°F (82°C). H: Ceramic magnet material is sandwiched between steel pole pieces. All-welded construction with a stainless steel cover. No Epoxy. Can be used for holding and transferring of parts, or for aligning pieces during welding operations and as the holding elements on paint racks. Use 1/4”-20 (m6) bolt or screws for mounting this 2-Pole assembly. Maximum temperature is 480°F (248°C). 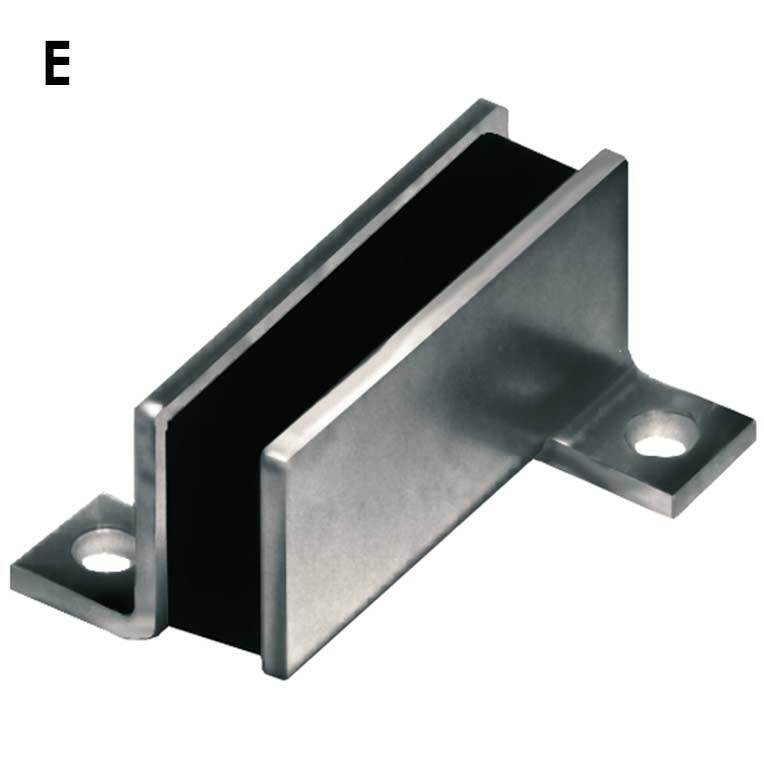 I: Nickel Plated Rare Earth magnet material is glued to a bright plated steel channel. This extremely powerful assembly is ideal for low profile applications that require strong pull pounds. 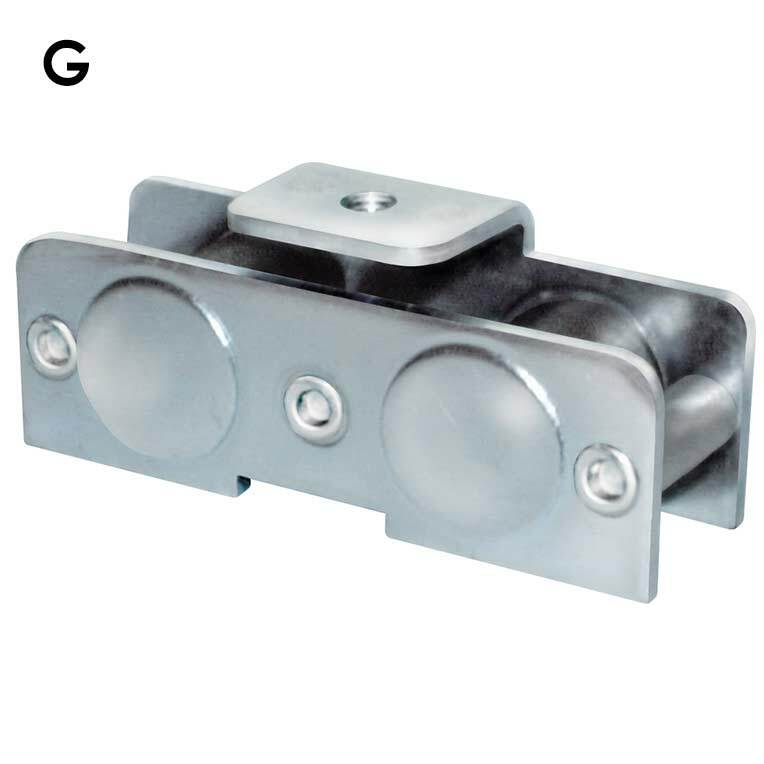 Use 10-32 (m5) bolt or screws for mounting this 2-Pole assembly. Maximum temperature is 180°F (82°C). J: Ceramic magnet material placed in a 400 Stainless Steel channel and covered. This full-length magnetic holding force gives generous room for various fastener heads. Use 10-24 (m5) bolt or screws for mounting this non-corrosive 2-Pole assembly. Maximum temperature 300°F (148°C).